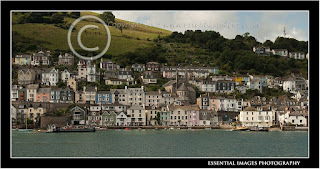 This is Dartmouth before the regatta began.....the lull before the storm so to speak! It is such a pretty place when the sun shines!! 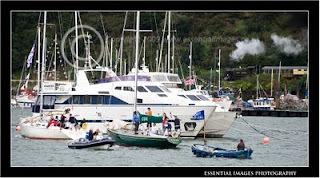 Unfortunately, the sun didn't shine on Dartmouth for much of the Royal Regatta! The BBC Spotlight presenter, Amy Cole, was standing with cameras ready, for some time waiting for the sun to show its face from behind a cloud....sadly it didn't appear so they moved on to this little steam boat for their BBC broadcast. 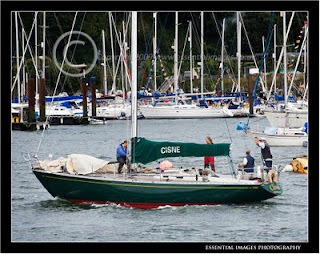 Malcolm was sailing on Cisne in the Dartmouth Royal Regatta! But this time I went along to watch....well actually I couldn't as all yacht racing was obviously out in the bay and not in the river! 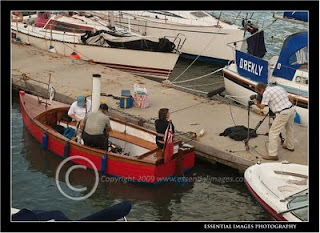 There was plenty of rain and one day the yacht racing had to be abandoned because of gale force winds! Something about us getting the tail end of a hurricane! Very glad to see everyone off the water and safely back on the land! Anyway the only images of Cisne I managed to get was when they had finished racing and coming back up the river! Never mind, being there on Thursday for my birthday did mean I got to party! I must admit I did have a few glasses of wine on my birthday (only on my birthday of course! )....well, when the crew offered to buy me a glass of wine it would have been rude not to accept! And then, of course, my sister and her husband were there too and I joined them in a glass or two as well! Sometimes you just have to do these things! 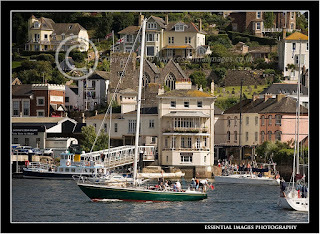 Of course, yacht racing was only a part of the regatta and there were many displays, rowing, The Red Arrows, fireworks, fairground, market stalls, helicopter displays, Dartmouth Road race. More images to follow..............watch this space.